Bird of Prey flying demonstrations provided by Elite Falconry are probably best described as unusual. Our demonstration team is trained to work happily in a variety of location types. 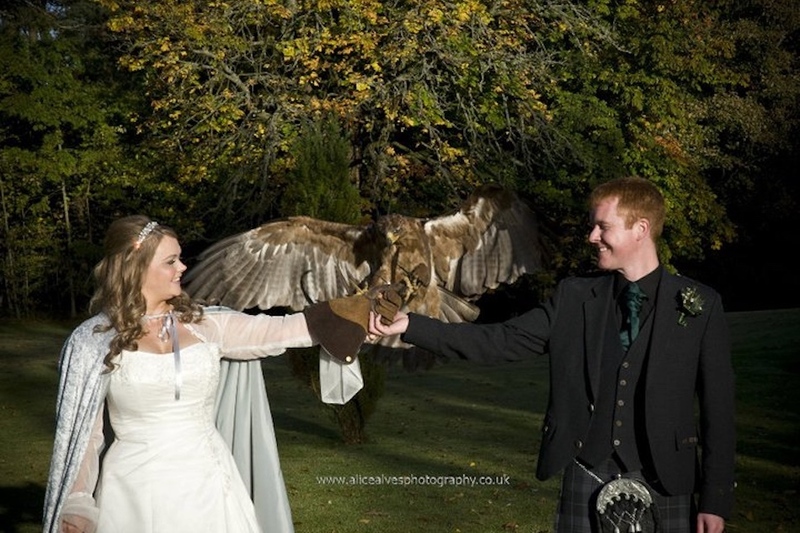 Perfectly at home in stately gardens or highland shows, working as part of a wedding celebration or public function, you can be sure the bird team we bring along will be the best suited for your event. Commentary is amusing, educational and often unpredictable. We do not do bird tricks or a choreographed show. It is easy to do so, but sadly foolish. 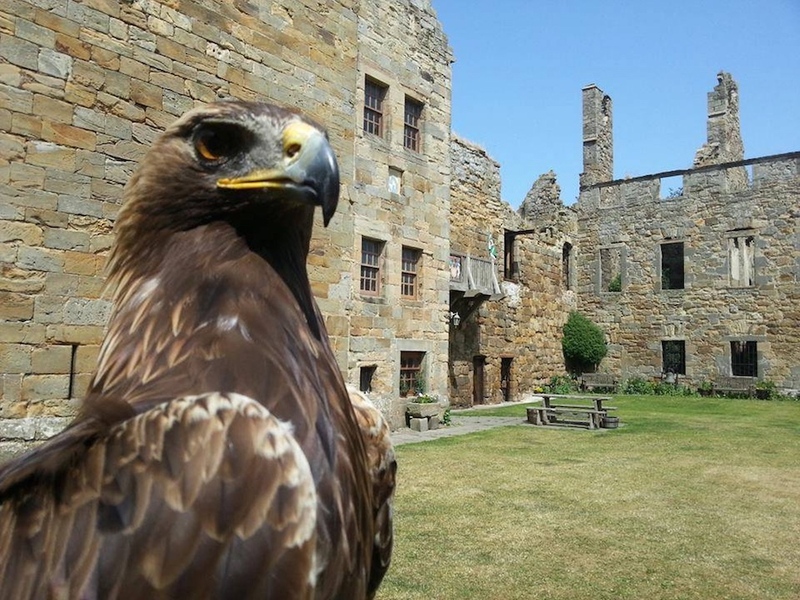 It gives the idea that birds of prey are easily trained tricksters and good potential pets – not so. In addition any demonstration should retain an educational edge. Only by allowing and promoting natural flying can this be taken seriously as an ethos. If you want a zoo trick show go to someone else. 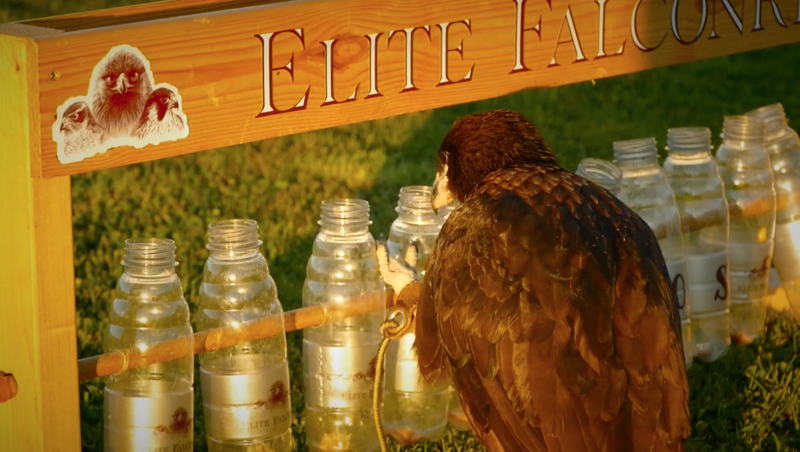 If you want a good fun display with fantastic flying and educational and amusing commentary it will be hard to book better than Elite Falconry. We are offering an exciting option for flying demonstrations in 2016.We have an eagle carrying a backpack camera, which, if the surroundings are safe, can gather aerial footage of your event. The video shown to to right of this page here gives a good example of what Marra can do. 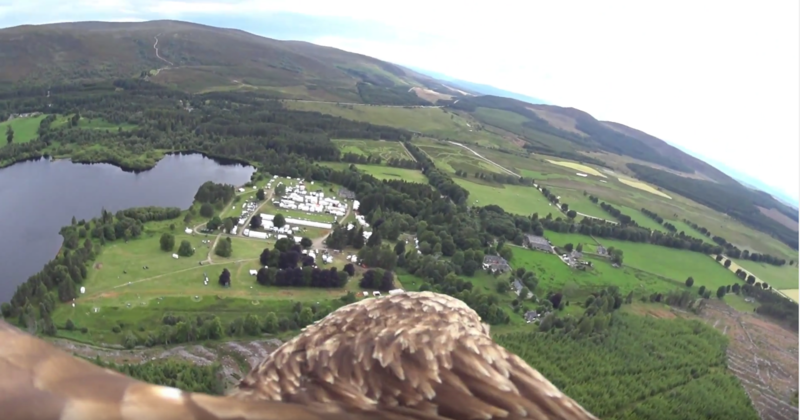 This is her flying over Moy Game Fair. The bird would not fly as part of the main demonstration, but can fly afterwards and the footage would then be available for you to keep and use. The usual format is to have a static display of birds under cover for your guests to come and view or photograph in advance of the flying display. Around 30 minutes before the scheduled demonstration the birds are put away for safety. The demonstration will commence with an owl and move on to a hawk, falcon and eagle. Other birds may be utilised if your venue or event type dictates that different species are better suited. We try to encourage a handful of people to come forward during the display to participate so a feeling of inclusion and accessibility is created. The flying demonstration is usually scheduled for 45 minutes but can be extended or reduced as per your requirements. 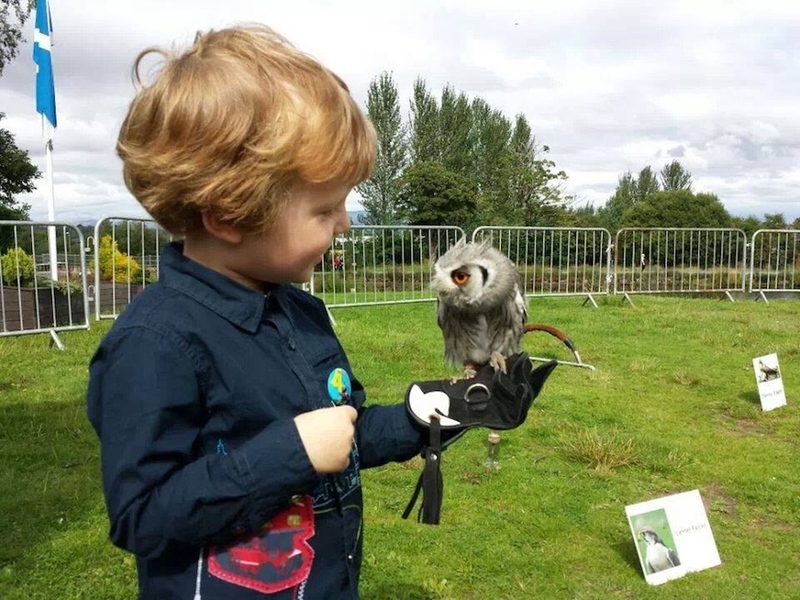 After the display the birds are put back out on static display for further viewing by your guests; and well informed staff are of course on hand to chat with your visitors. Please email or telephone us for further details of content, availability and more about what we require at the site to ensure the safety and well being of the birds.